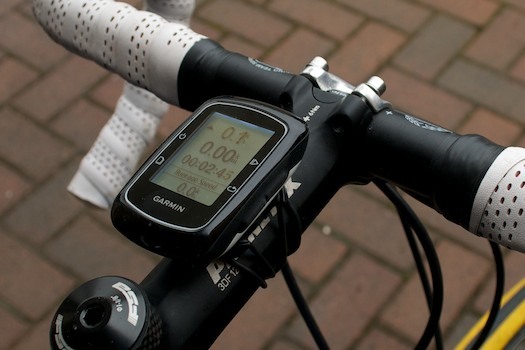 Garmin’s Edge range of GPS bike computers has seven models of ever-increasing cost and complexity. the Edge 200 is a steal if you just want a bike computer that records GPS traces to look at later. the Edge 500 does almost everything the Edge 510 does, but cheaper. If you want Ant+ sensors on a budget, you won’t regret it. the Edge 510 improves on the Edge 500 if you’d like to easily choose between different data screens (i.e. one bike with PowerTap, one without), has better altitude and trace visualisation and bluetooth PC / phone integration. the Edge Touring gives you mapping and navigation at a great price, so long as you don’t care about Ant+ sensors or altitude. the Edge Touring Plus is very close to the Edge 800 in price, but does a lot less (but is much simpler). the Edge 800 does almost everything the Edge 810 does for much less money. the Edge 810 improves on the Edge 800 if you’d like to easily choose between different data screens (i.e. one bike with PowerTap, one without) or want bluetooth PC / phone integration. The Edge 200 has much better battery life than a mobile, it’s smaller and less obtrusive on the handlebars, and it’s more reliable too (I’ve still to find a decent Android bike app). Don’t dismiss this simple little gem just because it doesn’t have all the bells and whistles! Wiggle have these for under £90 (20% off) at the time of writing, while Chain Reaction are doing a similar deal. [jump] you want to see colour mapping, and have your GPS actually navigate for you (like a car satnav). The 500 has the same compact size as the Edge 200 but integrates fully with Ant+ sensors for heart rate, cadence, and power. Being one of the older models, your wallet may thank you for picking up an Edge 500 – there are often good deals on refurb models from Wiggle, while Chain Reaction are doing a straight 10% off at the time of writing. If you want a lot of data while you ride, the Edge 500 offers all you can imagine… instead of displaying one page of ordinary cycle computer data fields, you can have up to five pages each with up to eight configurable data fields. I have one page for “right now” fields like current speed, cadence, and heart rate, another page for lap averages, while a third does trip totals, time of day, temperature and so on. Additionally, the Edge 500 is equipped with a barometric altimeter allowing it to record quite accurate elevation data (something which is lacking in the Edge 200). However, it should be noted that many sites will overwrite the elevation data recorded on your ride using survey data, so this isn’t as big a deal as you might imagine. The Edge 500 doesn’t “navigate” you, but it does have the ability to display a breadcrumb trail of a route you downloaded in advance (DIY or someone else’s). Like a road map with only one road (and no background detail) this will still display turn cues and warn you if you go off route. The Edge 510 is the big brother of the Edge 500, offering a similar number of data fields, integration with Ant+ sensors (speed, cadence, heart rate, power) and the ability to follow a pre-loaded route with turn cues – but no mapping or navigation. You aren’t likely to find the 510 as a refurb deal, and it’s almost 50% more expensive than the 500: Wiggle currently have it for 12% off, while Chain Reaction are also doing 12% off. The main advantages of the Edge 510 over the Edge 500 are the touch-screen interface (an improvement over the sometimes frustrating process of remembering what the four buttons on the 500 do in every different situation!) 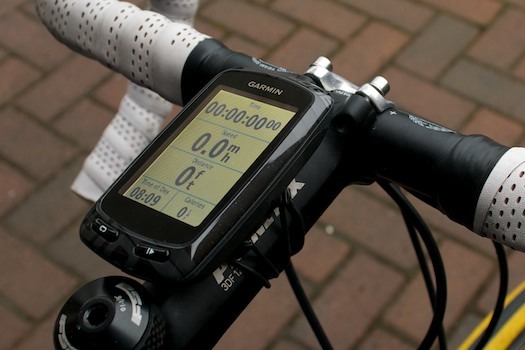 and slightly better screen, but principally the ability to have a different screen setup for different bikes. This is really useful once you start adding external sensors because, say, the fields you want to see on race day on a PowerTap-equipped time trial bike or a cross bike with heart rate strap are probably quite different to the fields you want to see riding to work on your shopper (with no sensors at all). On the Edge 500 you’re stuck with one set of fields (although you can turn individual pages on and off without too much pain) but the Edge 510 allows you to set up the whole interface differently for each of your bikes. The Edge 510 offers a full time altitude profile (missing from the Edge 500, but of limited interest while riding) and the navigation (follow trace) screen is a bit better too. The Edge Touring is a stripped-down version of the Edge 800, aimed at those who want navigation but *not* training / performance features. The basic Edge Touring is only a little more expensive than the Edge 500: Wiggle are doing it for well under £200 (10% off), while Chain Reaction have 10% off. With identical hardware but a streamlined firmware package, you lose the ability to interface with Ant+ sensors altogether (although you can pay £50 more for the Edge Touring Plus, this still only allows a HRM strap – no cadence or power). 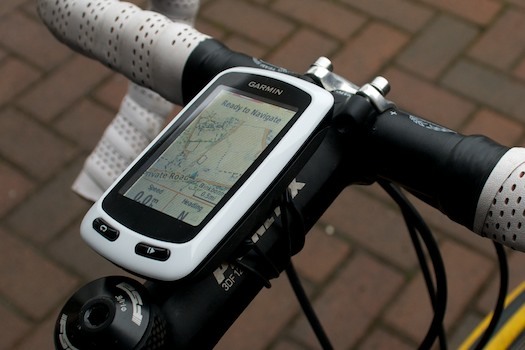 Instead of sensors, Garmin are pushing the Edge Touring on navigation features – A to B (or circular) routes calculated using OpenStreetMap data, displayed on the excellent full-colour display. If you buy the Edge Plus you get a microSD card with maps pre-loaded, otherwise you have to get these as a free download. The data fields that can be displayed on the Edge Touring are reduced, but still likely to satisfy a less data-obsessed rider – while the trace recorded for later analysis is top notch. The Touring Plus has the barometric altimeter enabled and displays a rolling profile of your ride along with current altitude and ascent. Battery life on the Edge Touring models is good enough for a couple of average days in the saddle (or one really long one) at around 17 hours. While many people have been scratching their heads over a touring GPS which doesn’t take AA batteries, this is the downside of Garmin recycling their Edge 800 hardware – you’ll need to use an external AA battery pack instead (I’ve managed a 1200km continuous trace this way), though sadly the waterproofing of the Edge is compromised while under external power. Despite the arrival of the 810, the Edge 800 is still readily available for a relatively small premium over the Edge Touring – Wiggle are doing it for 25% off just now, while Chain Reaction have 25% off too. This will add all of the performance features you’d find in the Edge 500 combined with the screen, mapping and navigation abilities offered by the Edge Touring. As you’d expect, the firmware isn’t as simple as the Edge Touring and you’ll have to put a bit more time in to get the most out of the Edge 800. – compared to the Edge 510, you’re adding a bigger screen, full colour mapping and navigation for very little extra money. Why would you spend more? The 810 is more of an evolution than a real advance on the Edge 800, but comes at a hefty price premium unless you can find it on sale – worth keeping an eye on both Wiggle and Chain Reaction for this one. The main feature of note is the ability to customise the interface for each of your bikes (as with the Edge 510) – something that’s missing on the Edge 800, which is stuck with shared data screens for all bikes (though the 800 allows you to turn particular pages on and off). I have an Edge 810, but I’m pretty sure I’d have been happy sticking with the old 800. My better half loves the Edge 200 and turns her nose up at anything more complicated – even the Edge Touring. She just wants to know the basics while riding, and to upload to Strava and look back on later. The Edge Touring is a nice upgrade along the same lines, adding mapping (for a fistful of dollars). To be honest I didn’t think I saw the point of the Touring models until I actually started using mine – the simple interface is a massive improvement. If I had to choose just one GPS, more often than not I reach for the Edge 500 – compact, reliable, and feature full. I ride with power, so the 200 and Edge Touring aren’t going to cut it. For unknown rides where I want a map, the Edge 800 is ideal (I’ve got an 810, but I regret it). Many will be quite happy with one of the cheaper GPS models and falling back on their phone for the odd bit of mapping. Whatever you choose, riding with GPS is major step up from conventional bike computers. The fact that you can look back and see where you rode any time in the past (and how long it took you to get anywhere) is a massive bonus. They may be an advance in some ways over old bike computers, but you still have to remember to charge them! Plenty of my rides stop recording half way round because the battery has run out! The Garmin Forerunner series also often has a cycling mode – on my FR 610 this just seems to swap speed from mins/mile to mph. It also (reputedly) picks up ANT cadence/speed sensors but I’ve never tried it. The breadcrumb trail function is also available on the Edge200 (which is, apart from simplicity, one of the reasons why I like it). Though it doesn’t have navigation on it, the Edge200 makes a sound if you leave the track (prepared on garmin connect and down loaded to the device). I you choose or have to deviate from the track, the scale of the crumb trail will be increase as to allow the edge to display both your current position as well as the nearest part of the trail, which is sufficient to get you back on the track. What a great article, i have just purchased the egde touring and am looking forward to getting on the road. i wanted a simple, map equipped unit at the right price, and they are knocking them out at 170 quid with free out in front holder and case – so no brainer ! this article is very god though – you clearly know what you are on about ! Nice article. Thank-you! I’m yet to purchase a dedicated GPS device, still relying on an old Android phone for recording and navigation. Its a good point you make that falling back to the phone for the odd bit of emergency map based navigation and using a ‘proper’ (but one of the cheaper) GPS devices for recording and real time stats. Nice article. I think you may have saved me some money. But one other difference between the 510 and the 500 (and, in fact, all the others here) is that the 510 supports GLONASS as well as GPS. May not be a big deal if you consistently have good GPS coverage, but here in the Alps that is not a given! Yes – GLONASS could be a big win if you get marginal results from GPS – good point. I get on fine with all of the above, but I really need a dual GLONASS/GPS running watch for some of my urban jungle experiences! The 510 doesn’t have a map but it does give full navigation cues (you can go to a screen just listing the distance and direction of each turn in succession, for instance) when riding a pre-loaded route. You can mark the location of your hotel and it will then tell you where and how far away it is (as the crow flies!). The 800/810 would actually be able to navigate you there. 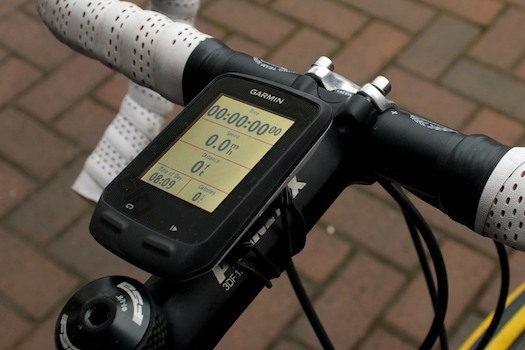 Many thanks Dave, interesting stuff, when I cycled at night with a friend his bike navigator bleeped to say a turning was coming up is this available on the 510 or would this be another model as it saves keep looking at the screen and using up battery life by having the screen illuminated a lot.? Excellent article. Thank you for spending the time to write such an informative and useful review. It’s a 510 for me! That is a great link, just what I needed to know thank you for all your help once again, keep up the good work. Hi, Great review – thanks. Aldi have the 200 for sale new for £69 and i was contemplating getting one – how much difference to accuracy does the barometric altimeter make? 200 doesn’t have it 500/510 do. It makes a big difference *but* if you upload to most services these days (Strava, Garmin Connect, etc) they are able to replace your elevation profile with national survey data anyway. Depending on your location, i.e. Ordinance Survey or USGS national elevation dataset. 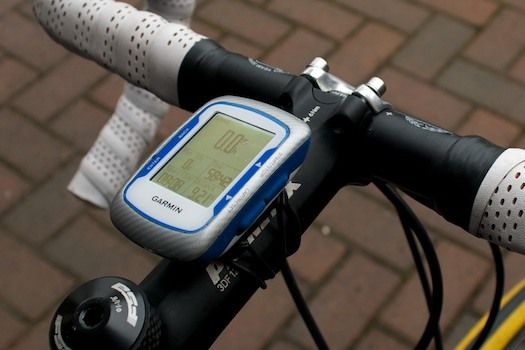 This means your Edge 200 rides will have excellent elevation data when you review them back. Just a follow up – my friend who i ride with a lot has a 510, when we ride the same route i use motorola android app and the difference in altitude is incredible: 700ft over 41 miles, despite the ‘spec’ level being different would the 200 bridge this gap or would the higher ‘specced’ 510 be worth saving for to get the level of accuracy i would like? It depends how you want to look at the data. The 200, like your phone, just uses the GPS signal to try and guess at changes in height but it’s not very accurate. While you’re out on the road, the climbing figures from any such device are more or less worthless. If you upload a ride to Garmin Connect it should be correcting the altitude automatically (strava has an option to do this if you click on “Elevation (? )” under the elevation count for any given ride). I’d be curious to know if this still gives you a large elevation discrepancy? Although barometers are accurate they do drift (or the initial altitude assumed by the unit can be out, and it can then correct mid way through the ride, resulting in a big artificial gain in height). If the difference is consistent it’s worth figuring out why. I would be tempted to stretch for the Edge 500 if I were in your position, rather than trying to find the extra for the 510. Thanks for this, I’m getting a headache deciding. I know that I only need the 200 but the one thing that I won’t compromise on is the downloading aspect. Because I’ve got an iPhone and iPad I don’t have a usb option so I need something that wirelessly uploads, so for that reason I think it’s the 510 (with my screens set so they give me minimal information) shame really as I’m not really going to exploit it. Any suggestions for something that fits my needs? Hey Marco, I had a quick google for using mass storage devices with the iPad but it seems like you might need to jailbreak it for that… urgh. 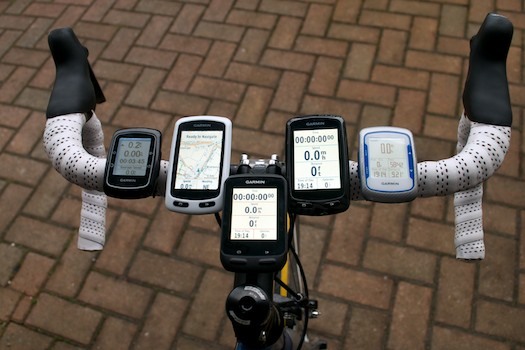 There may be better non-Garmin options, but none that I’m familiar with, sorry! The other obvious option is to get a waterproof handlebar mount for your iPhone? Thank you so much for an excellent article. I’ve been with the 200 for the last year and really like it, but I wanted to know the right one to upgrade to if I start monitoring my heart rate and cadence. This article has convinced me to go for the 500. I used to have a 500 but it wasn’t very reliable. The most annoying bug that quite a few owners have also reported was when you changes timezone. If you paused the first ride afterwards, and the device went to sleep, you lost the ride, and it would take an age to startup again. Also sometimes the GPS would crash, not the device. To get it going again you had to stop the ride, save it, power off, and startup again. Tedious, and you get 2 rides not one. So I replaced it with a 510. Its crashed and shut itself off 3 times in about 9 months, other than that doesn’t have the timezone bug. The biggest additional reason was that the 500 can only handle 3 bikes… and who has only 3 bikes? It is really LAGGY. That is, every time you tap the screen while in navigating mode, it take at least one second to respond. During riding, I’d prefer a faster feedback. The routing is really slow. For a 50km ride, it takes couple of minutes to calculate it. A separate matter is its “Course” support. Once I calculate a route using, say and then ask the device to follow it, it still calculates something, and the calculation can easily take 3-4 minutes for a 60-70km route. Very often, when it thinks that you are “Off Route”, it hangs and the only thing that helps is to hold the power button for few seconds, restart the device and then recalculate the whole route again ( another few minutes ). The most annoying thing is that it can happen in the heavy traffic while you are looking for the right turn, so you have to escape to the pavement with your bike and carry on with the device. In many cases, during “Course follow” mode, it stops telling where the next turn is, and just shows the route overlay, so you have look at the screen more often than on the road. Not only is this more dangerous, but it also drains the battery pretty quickly. The built-in route planner is only useful if you have no other device/good paper map. This is because there are many “planning” options, such as “Road”, “Commute”, “Mountain” etc. However, regardless the option you chose, the route will be much longer than with online planners, often involving major roads. Once I got stuck in a big traffic jam, which did not move at all for a few minutes. It took me a while to realize that this was actually a queue waiting for the ferry! And this is with default “Avoid ferries” setting and the newest maps/firmware!